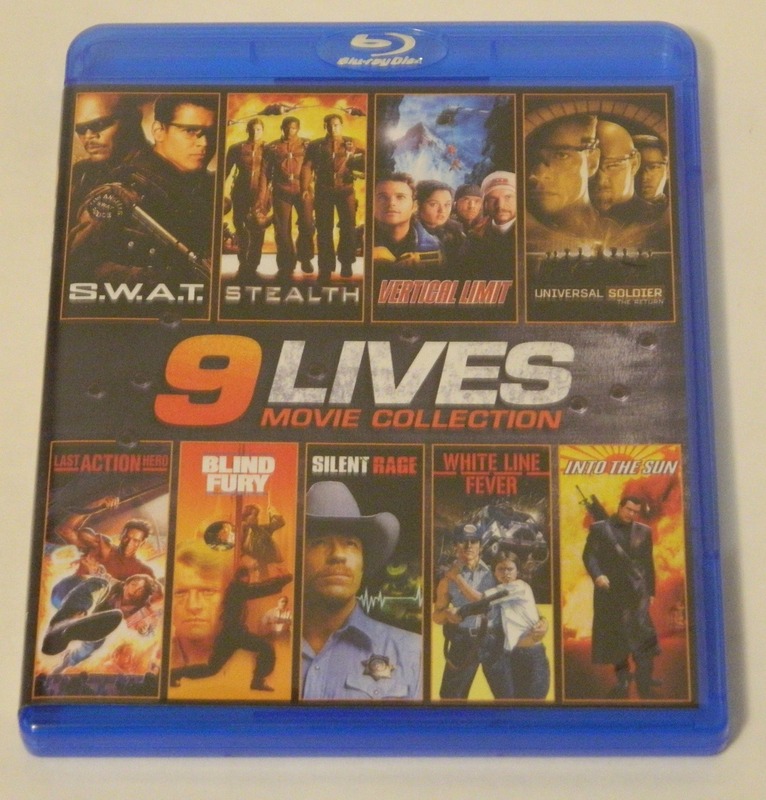 9 Lives Movie Collection is a Blu-ray set filled with nine different action movies. While all of the titles in this collection have been released on Blu-ray before, at a retail price of $29.99 (and found on Amazon for under $15 brand new) this is a much better bargain than buying all of the films separately. There are a few poorly rated titles in the mix but the films I watched for this review were worth the price alone. Last Action Hero–I know this film was released to mediocre reviews and was even nominated for a slew of Golden Raspberry Awards but after watching it for the first time on this 9 Lives Movie Collection, I have to say it is one of the most pleasant surprises I’ve seen in years. Last Action Hero has apparently become a bit of a cult film lately and it completely deserves it. It is a very fun film with a lot of great action scenes. It isn’t a perfect film but in my opinion it deserves much higher IMDB and Rotten Tomatoes scores. I do, however, have a huge soft spot for films that go meta and make fun of themselves. Last Action Hero is a 1993 action film about a boy named Danny who is obsessed with action movies, especially the Jack Slater franchise which stars Arnold Schwarzenegger. Danny is given the opportunity to get a sneak peek at the newest film in the franchise by his friendly local theater owner Nick. Nick also gives Danny a golden ticket once owned by Harry Houdini. While the movie is playing, the ticket transports Danny into the world of the Jack Slater franchise where Schwarzenegger/Slater must keep him safe as he attempts to get back home. This is probably the most well-known film in the collection and of the ones I watched, my personal favorite. Even though Last Action Hero is uneven, I just don’t get the hate it received upon release. The film is very funny, especially when it is making fun of movies and Hollywood in general. This is a world where a cop gets a cartoon tiger as his partner, Terminator 2 starred Sylvester Stallone, people walk around in the background wearing the most ridiculous outfits imaginable, and so on. The comedy can also be very campy at times (a person dies to an ice cream cone to the head, some of the special effects seem purposely cheesy, etc.). The humor isn’t exactly consistent (there are long stretches without anything funny) but when it’s there, it’s laugh-out-loud funny. Last Action Hero also has a ton of great action scenes. The film cost $85 million to make in 1993 but that actually seems low considering the number of expensive-looking scenes it has in it. The film is an action-comedy but while it is more on the comedy side, the action is also good enough to hook in fans of that genre. The final major positive Last Action Hero has is a great villain played by the always phenomenal Charles Dance. While I loved this film, it isn’t perfect and I do have a few minor nitpicks to talk about. First, the film is at its best when it is going meta and making fun of the entertainment business and it strays away from those two things a bit too much at times. Also, the film is probably about 10-15 minutes too long. Finally, Danny is a bit whiny at times but his actor (Austin O’Brien) overall isn’t terrible for a child actor. Blind Fury-This film is about Nick Parker (Rutger Hauer), a blind Vietnam veteran who must take a cross-country journey to get a boy named Billy back to his father Frank (Terry O’Quinn), an old military buddy of his. However, Frank’s evil boss has captured him and is attempting to kidnap the boy as leverage. Basically, the film is a typical action flick where Nick must keep the boy safe and also help free Frank from his captor. While I enjoyed Blind Fury, I don’t really have a lot to talk about as it’s pretty much your typical average ’80s action movie. The film is occasionally funny but a lot of the “humor” is just Billy (and other people) being jerks to Nick just because he can’t see. Unsurprisingly, I didn’t find much of that “humor” to be funny, just mean. However, there are some genuinely funny moments like an old woman shooting at some thugs who had wronged her. Unfortunately, I was disappointed that the film is too well-made (other than a few scenes of swords not even coming close to hitting things they were supposed to) to be funny in a B-movie sort of way. The action scenes in Blind Fury are solid but none of them are very memorable. The villain is just your typical evil businessperson with no unique or interesting characteristics or quirks. Rutger Hauer and Terry O’Quinn (one of my favorite actors of all-time) do a pretty good job of acting but the child actor is absolutely terrible. It might not be completely the fault of the actor though as the character is obnoxious and one of the biggest brats I’ve seen. Other than that, Blind Fury doesn’t do anything poorly but there also isn’t anything that stands out about the film. Thus, it deserves a perfectly average 3/5. Vertical Limit-This is a pretty solid film that could have been more than that if it wasn’t so darn long. At a run time of 124 minutes, that is too long by about a half hour especially for such a basic story. Vertical Limit is a 2000 film about mountain climbing starring Chris O’Donnell, Bill Paxton, Robin Tunney, and Scott Glenn. The film features sibling mountain climbers Peter (O’Donnell) and Annie (Tunney). Annie is assisting in a K2 summit attempt by a wealthy businessman (Paxton) but when a storm hits, an avalanche traps the climbers in a crevasse. Peter decides to try to find and save her and puts together a team of climbers at the base camp to do so. The biggest problem with Vertical Limit is just that it takes too long to get going, there is way too much introductory material. It takes about 35 minutes before the movie even gets to anything important. The plot is also pretty ludicrous but I’m not a viewer who really cares how ridiculous action movies get. As long as the film is fun, I really don’t care if it had a 0.1% chance of happening in real life. In action movies, you are supposed to suspend your disbelief a bit and I have no problem doing so. Because of that, I don’t really care if Vertical Limit‘s plot is effectively impossible. However, I do care about how entertaining the action scenes are for movies in this genre. Once Vertical Limit gets going, the action is pretty good. Over-the-top and possibly impossible but still entertaining. Still, the main reason to watch Vertical Limit is the gorgeous cinematography. It’s hard to make a mountain climbing film look terrible (mountains are by definition gorgeous) but this film is beautiful. It is exactly the type of film you want to watch in high-definition. If it weren’t for the extremely slow beginning, I would have really enjoyed this film. However, since the first thirty minutes or so are so boring, it brings the film down a bit to a 3/5. S.W.A.T.-I have already reviewed Mill Creek’s individual Blu-ray release of this title so check that post out for the full review of this title. Basically, I thought S.W.A.T. was pretty much the definition of average action film. I found the acting to be pretty good and I enjoyed the action scenes (though I think there should have been a few more of them). However, the story is about as by-the-book as it gets. Since S.W.A.T. averages out to an average film, I gave it a 3/5. The other films in this release are Universal Soldier: The Return, Into the Sun, Stealth, Silent Rage, and White Line Fever. However, none of these films are highly regarded and the only film with a decent IMDB score is White Line Fever. Even though these films are a bit compressed to get nine films onto three Blu-ray discs, the ones I watched looked very solid if not even great (especially considering a lot of them are 20-30 years old and all of them are at least a decade old). Vertical Limit especially looks great with some beautiful mountain landscapes (it doesn’t look even close to 18 years old). Last Action Hero is a bit more mixed, some parts look great while other scenes are just barely better than DVD quality. S.W.A.T. 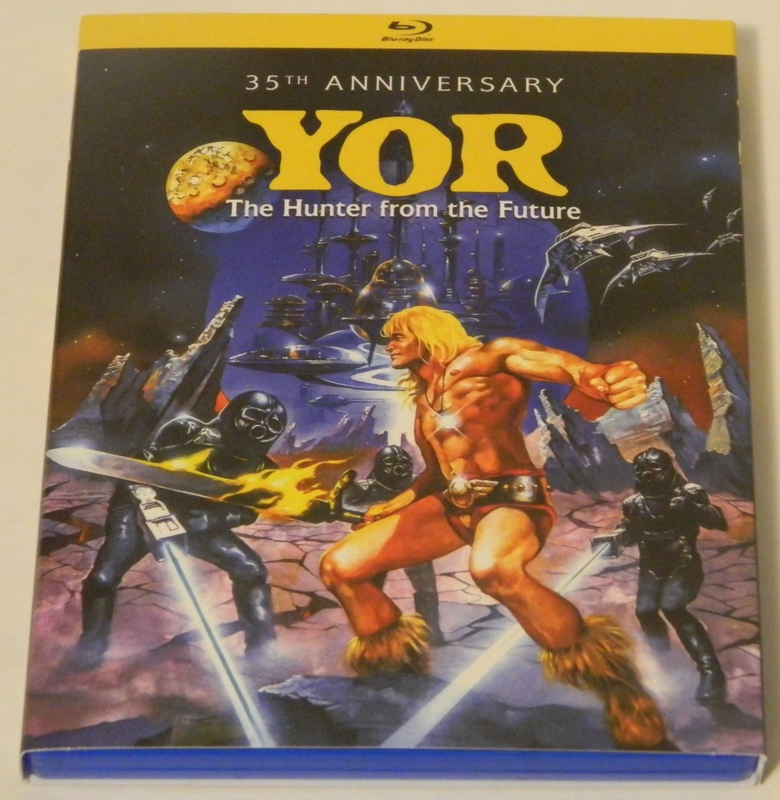 is the only title I can compare to an older release and I couldn’t really see much of a difference between this release and the stand-alone Blu-ray. The oldest film in this collection I watched was Blind Fury which unsurprisingly was the worst of the four in terms of video quality but still was pretty solid (and certainly way better than DVD quality). Overall, if you like action movies and you don’t already have most of these films in your collection, this is a great deal. $15 or so for nine movies on Blu-ray is a very nice price. Last Action Hero is a great film, Vertical Limit is beautiful but flawed, and Blind Fury and S.W.A.T. are solid films. I didn’t get around to watching Universal Soldier: The Return, Into the Sun, Stealth, Silent Rage, and White Line Fever but I’m sure some of those are decent films as well. Recommended. 9 Lives Movie Collection was released on Blu-ray on March 6, 2018. We would like to thank Mill Creek Entertainment for the review copy of 9 Lives Movie Collection used for this review. Other than receiving the review copy we at Geeky Hobbies received no other compensation. Receiving the review copy had no impact on the content of this review or the final score.